The Acadian redfish is a rockfish that is sometimes marketed as "ocean perch" or "red drum." It is a non-oily fish with a sweet, somewhat mild flavor and large flakes. Chef Paul Prudhomme made the fish very popular in the early 1980s with his recipe for Cajun-style blackened redfish. He first used the term "blackened" to describe a dish of redfish in his cookbook, Chef Paul Prudhomme's Louisiana Kitchen. The popularity of the dish led to the overfishing of redfish in the Gulf of Mexico. The Acadian redfish, from the Northwest Atlantic, is considered a sustainable fish and should not be confused with the redfish (red drum) from the Gulf of Mexico, which were designated a protected game fish in October 2007. Choose Acadian redfish or farmed redfish or red drum. 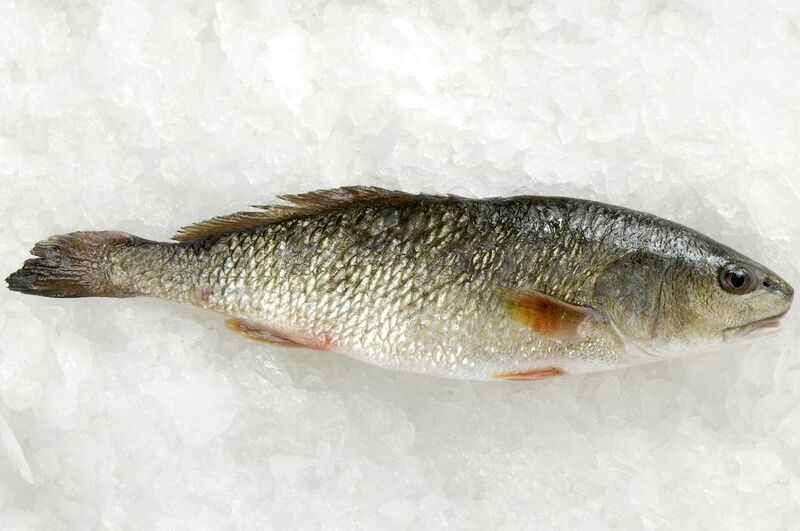 Feel free to substitute red snapper fillets, black drum, haddock, cod, or another type of mild, white fish fillets. Lightly butter a shallow baking dish that is large enough to hold the fish fillets in a single layer. Pat the fish fillets with paper towels to dry. Arrange the redfish fillets in the prepared baking dish, skin side down (if there is skin on the fillets). In a cup or small bowl combine the 1/4 cup of melted butter with the salt, pepper, paprika, lemon juice, and minced onion. Pour the butter and seasoning mixture over the redfish fillets. Bake in the preheated oven for about 20 minutes, or until it reaches an internal temperature of at least 145 F (63 C). The fish should flake easily with a fork when done. Serve the redfish with lemon wedges and remoulade sauce, if desired. Fish cooks quickly, and it's important to cook it thoroughly without overcooking. If you don't have a reliable instant-read thermometer, you can test it with a fork. Fish will look opaque when it is done. To check the fish, insert the tines of a fork into the thickest part of a fillet and twist it gently, pulling up some of the flesh. If it is underdone, it will not flake easily and will look translucent. If it is done, the flakes will come up with the fork and look opaque. How to Wedge Lemons: With a sharp knife, slice the ends off of the lemon. Slice the lemon in half lengthwise. Cut each half into three wedges and then slice off the white membrane running down the center of each wedge. Remove the seeds.